The Bureau of Consumer Financial Protection  (BCFP) and the Federal Housing Finance Agency  (FHFA) announced  Thursday that they are releasing  a comprehensive set of loan-level data on mortgage loan originations that has been collected over the past few years. The two agencies have been collecting data in the National Mortgage Database since 2012, and they began collecting loan origination data in 2014 on a quarterly basis. Today’s release marks the first time the information collected through the National Survey of Mortgage Originations (NSMO) is being made available. Not only does the NSMO address regulatory mandates, but also it serves to “obtain information to help improve lending practices and the mortgage process for future borrowers,” explained Sandra Thompson, Deputy Director of the FHFA. “The NSMO data should be very helpful to policymakers, the mortgage industry and researchers in understanding consumer behavior and borrowers’ experiences obtaining a mortgage,” Thompson said. The National Mortgage Database was launched to comply with the Housing and Economic Recovery Act, which calls for a survey of residential mortgages on a monthly basis, and the Dodd-Frank Act, which requires the BCFP to monitor the primary mortgage market through survey data. The NSMO was sent to borrowers “who had recently obtained mortgages” each quarter “to gather feedback on their experiences during the process of getting a mortgage, their perception of the mortgage market, and their future expectations,” the FHFA and BCFP explained with their announcement Thursday. 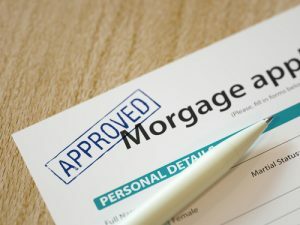 The survey includes questions on topics including how concerned borrowers were about qualifying for a mortgage, how familiar they were with various aspects of the mortgage process prior to obtaining their loan, and how satisfied they were with the various professionals they interacted with throughout the process. The public use file of comprehensive loan-level data collected since 2014 can be found here .